Father of Parkland school shooting victim says US needs to concentrate on securing schools, regardless of what gun control laws are. 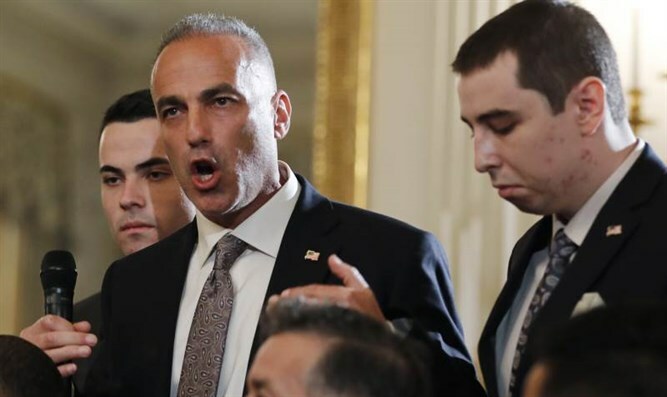 Andrew Pollack, whose daughter Meadow was among the 17 people slain by a gunman last week at a school shooting in Parkland, Florida, told US President Donald Trump the school shooting should be the last. Pollack called for increased security at schools, noting that the Sept. 11, 2001, terrorist attacks triggered immediate enhanced protections for airliners, while a succession of school shootings have left schools vulnerable. He advised against litigating gun laws, for now, saying the issue was too divisive. Israel came up several times during the exchang as an example in controlling guns and enhancing security. Cary Gruber, the father of Justin Gruber, one of the Douglas school survivors, noted the tough restrictions on gun ownership in Israel. Darrell Scott, whose daughter, Rachel, was slain during the 1999 school shooting at Columbine High School in Littleton, Colorado, said an example American schools should emulate is having a single secured entrance.